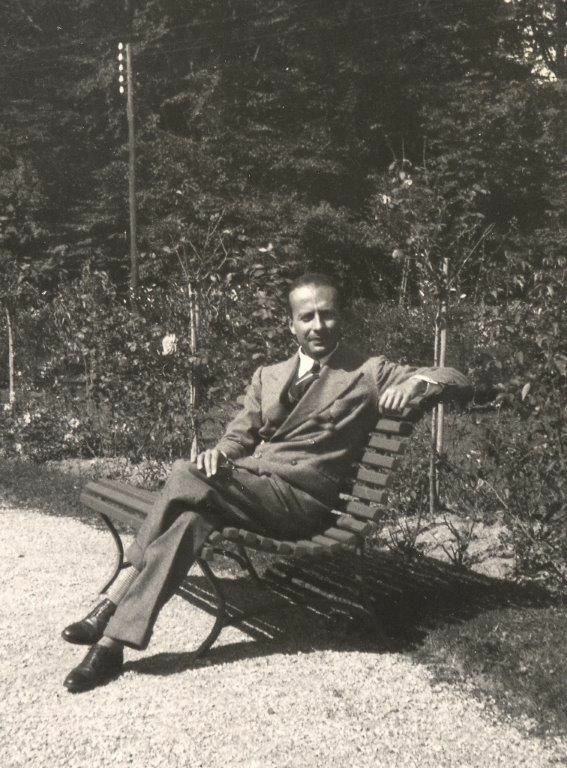 Giacinto Scelsi (1905 -1988) started making his way into the art, music and literary world during the 1920s – as he frequently travelled abroad – establishing friendships that would lead him into the most important international cultural movements of the time. During the Thirties he became interested in compositional languages and techniques such as twelve-tone serialism and the musical theories of Skrjabin and Steiner. In 1930 he penned the final touches to Rotativa (Paris, Salle Pleyel 1931 under the direction of Pierre Monteux), a composition for orchestra that would usher his name onto the international musical scene. He found refuge in Switzerland during II Word War, where he presented String Trio (1942) and various other piano works. These are troubled years for Scelsi and here he cultivates a deep interest for poetry, visual arts, Oriental mysticism and esotericism. His active acceptance of Oriental philosophies, Zen doctrines, Yoga and the subconscious mind date back to this moment of great instability and rediscovery that clearly shines through his musical experimentation of the time. Afterwards, Scelsi moved to Rome (where he lived until his death, which occurred on August 8 1988) where he completed a few previously unfinished works: the String Quartet and La Nascita del Verbo (both performed in Paris in 1949). His most significant compositions are characterized by the instrumentation of figures determined at random, improvising and applying new uses to traditional instruments, the introduction of the ondiola (the first electronic instrument able to produce quarter and eighth tone notes) but above all, what stands out is his unconditioned way of improvising, as if wrapped in a mist of Zen-like emptiness. Scelsi’s compositional method was quite unique: he would record his improvisations on a magnetic tape, subsequently entrusting the transcription to collaborators that would then work under his guidance. The score would then be completed with detailed instructions on its interpretation and measures in order to obtain the specific sound so meticulously researched by Scelsi (dampers especially designed for the strings section, stringed instruments played like percussions, sound filters to distort the sound of the wind instruments, pre-existent recordings used to lead the performance). His orchestration methods can also be regarded as highly original: he would pair similar instruments making sure that they were out-of-phase with each other by a quarter note, thus obtaining unexpected beat effects. This new, important phase first saw the light with the live performance of his orchestra piece Quattro pezzi su una nota sola (1959). During this same time, Scelsi published his first theoretic and literary works. His impressive musical production was first released in the 1980s by Parisian publishing house Éditions Salabert.